It isn't the first of its kind to be seen by me in the aftermath of destructive earthquakes that have struck Haiti, Chile and Turkey to name a few recently, but an Associated Press article on the topic of global earthquake activity indicates that what's going on of late is "probably just coincidence". Coincidence? I highly doubt it. Jesus Christ said of the last days, as recorded in Matthew 24:7, Mark 13:8, and Luke 21:11, great earthquakes in diverse places would play a recurring role in demonstrating to believers the time of His return was drawing near, along with famines, pestilences, nation rising against nation and more. I'd be remiss not to point out that the news of our world today is rife with evidence of Christ's return drawing near, to the extent I want to caution everyone who reads these words against believing any of these indicators to be the product of mere coincidence. Only three paragraphs in length, the AP article touched on an aspect of the killer quakes of today that would make them far more noteworthy than at any recorded time in history, even if these quakes weren't becoming more frequent and violent in intensity. The effects of these quakes, according to the article, "illustrate how increased construction up and down the world's fault lines can translate into massive casualties." Why do we see increased construction in earthquake-prone regions of the world? Because of a soaring global population necessitating it, in my humble opinion. On March 9, 2009 the U.S. Census Bureau estimated the Earth's human population to be 6,807,300,000. Three sources project that number to soar to at least 9,149,984,000 by the year 2050 which is going to naturally raise the populations of areas prone to earthquakes, increasing property destruction and casualties if and when future quakes occur. 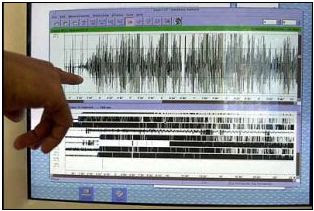 Logically, even if those who claim earthquake activity isn't rising around the world are correct (and I don't believe they are based on information I've read), the impact earthquakes are going to have on mankind is going to increase all the time from this point forward, highlighting the accuracy of Christ's end times prophecy on this topic. Looking beyond earthquakes briefly, the more people there are, the greater demand there is going to be for food. With hunger and famine already a critical concern in many regions of the globe, how much more dramatic is that crisis going to become with every passing year? Ditto where pestilences are concerned. The more dense human population becomes, the greater impact communicable disease is going to have on our world. Again, Christ's end times prophecies make perfect sense of what we see taking place in the world around us, as even casual examination of these facts reflects. Bob Holdsworth, an expert in tectonics at Durham University, is quoted in the AP article as saying, "I can definitely tell you that the world is not coming to an end." What would I say in response to Mr. Holdsworth? "While I can definitely tell you that the world is not coming to an end, the end of the world as we presently know it definitely is."